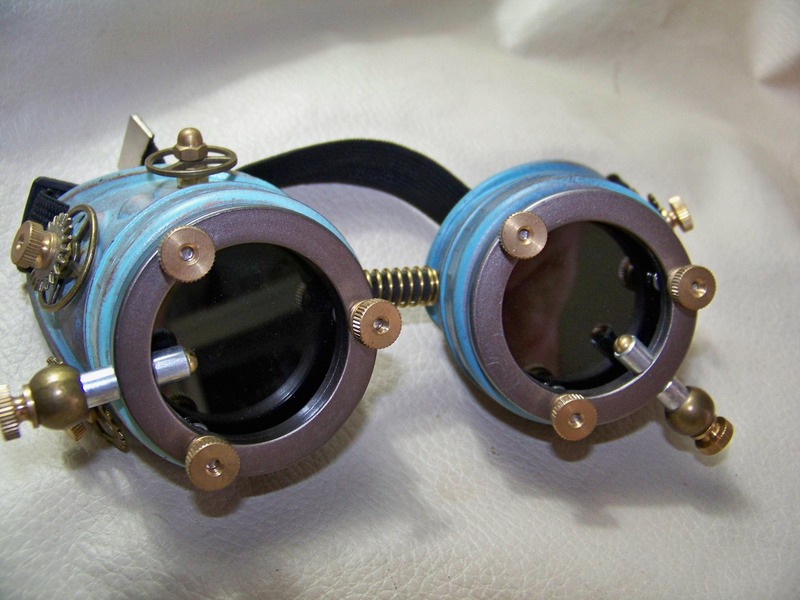 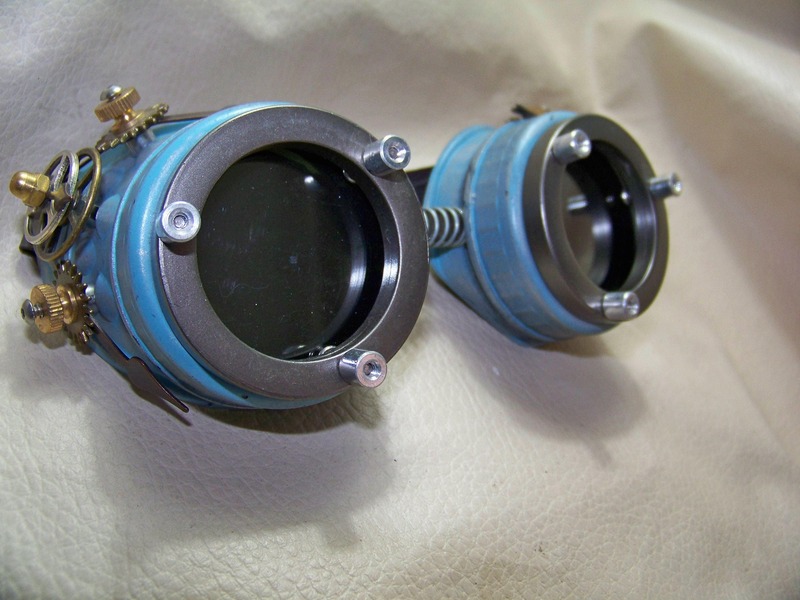 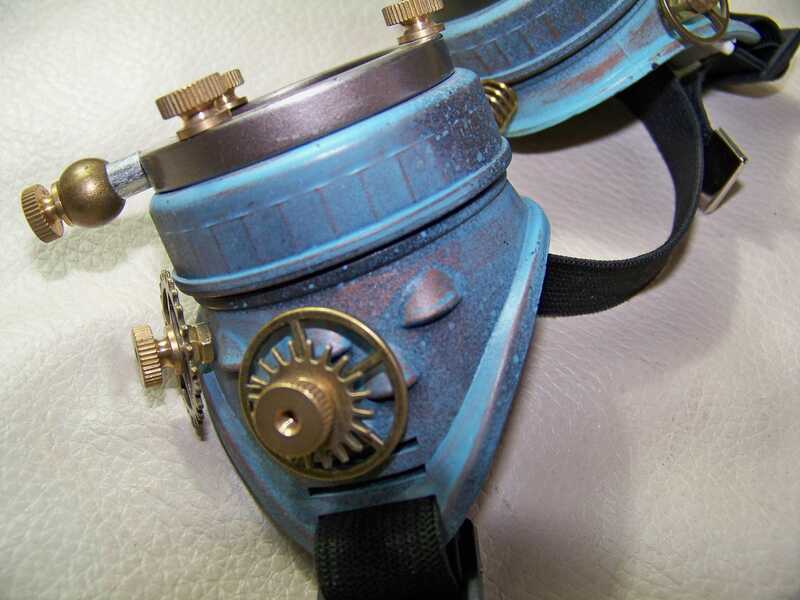 These goggles have an engineering theme. 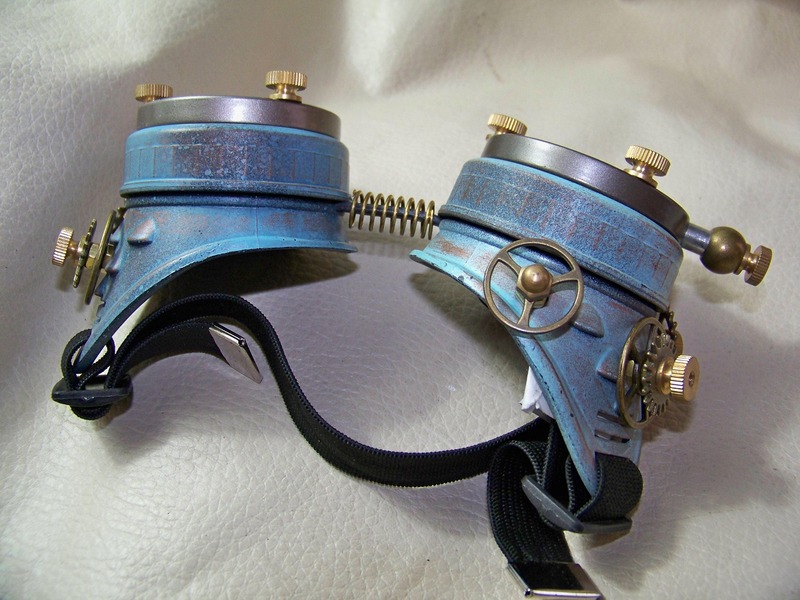 -These have an intentionally mismatched lt. blue base coat on each eye cup with copper highlights on both. 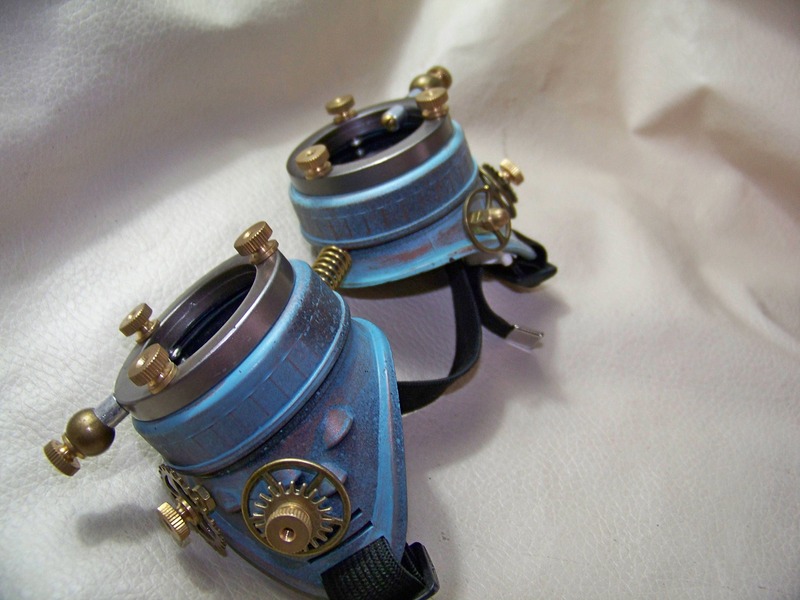 -Pewter hued plastic extension rings are also attached to each eyepiece with brass knurled nuts. 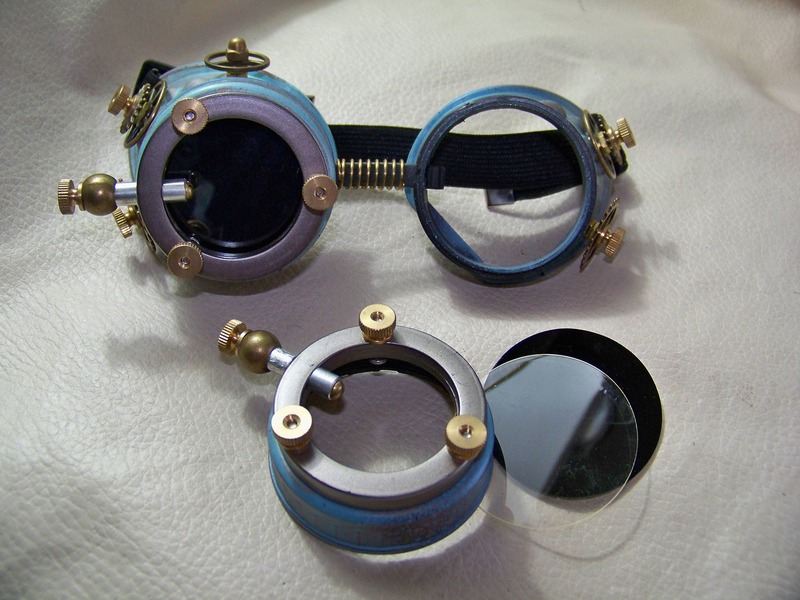 -They include 2-50 mm clear poly-carbonate lenses, 2-shade 3 dark green lenses, and a 1/2" black elastic head band. 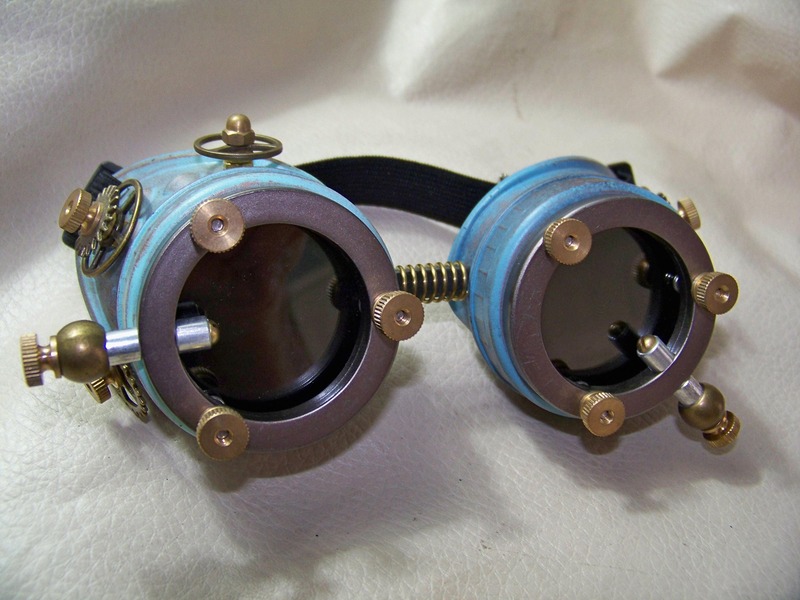 -Ant. 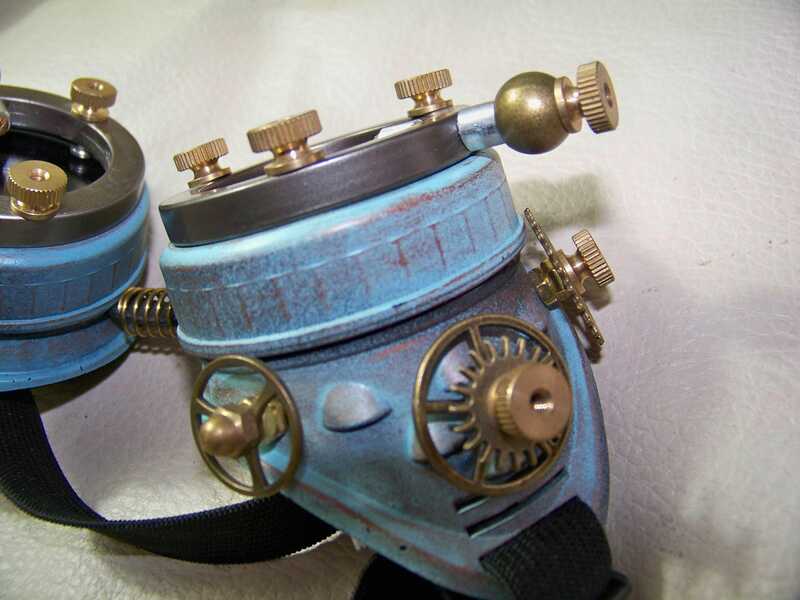 brass gears, acorn nuts and brass knurled are mounted on the sides of each eye cup.